Ideal for smaller bathrooms, the slender K-5246 pedestal pairs with the Veer sink basin for sleek, sophisticated style. French Deco design abounds in this console, pedestal lavatory sink, in white. Its period, stair step design offers clean lines along the legs, back splash and side splashes, bringing time-honored sophistication to your bath. Console legs sold separately. 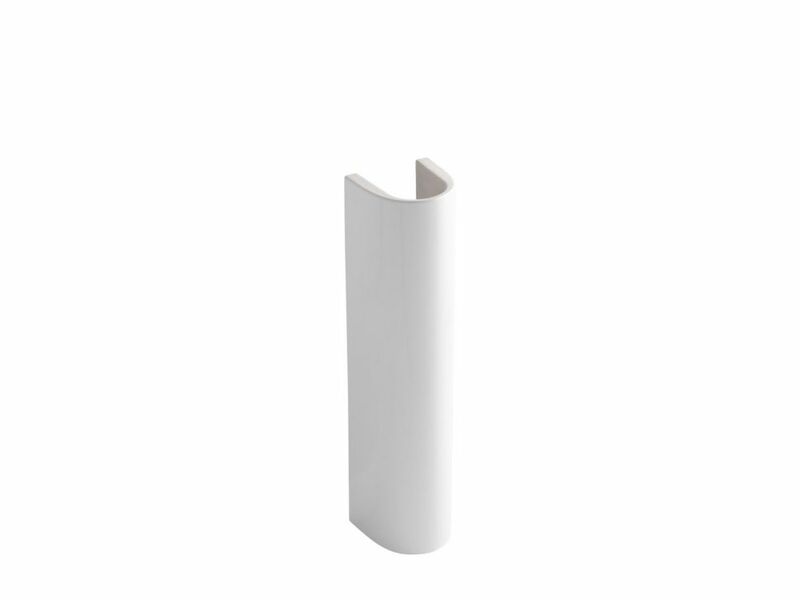 Veer Pedestal In White The Veer pedestal combines crisp, sophisticated style with a functional design that's perfect for smaller bathrooms. The slender column pedestal takes up minimal space, and pairs beautifully with the coordinating Veer sink basin for a stylish, affordable solution. Veer Pedestal In White is rated 4.5 out of 5 by 2. Rated 5 out of 5 by Frank from The Kohler pedestal is excellent!... The Kohler pedestal is excellent! Rated 4 out of 5 by Jan from Good well made product, but would not work for my... Good well made product, but would not work for my application. I returner it for credit at the HD at Bronx term. mkt. My only other remark is that the box was damaged in transit. The pedestal was in no way damaged.